Size of this preview: 750 × 600 pixels. Other resolutions: 300 × 240 pixels | 799 × 639 pixels. A Belly-Up container on Mohonet Ave in East Hook, Broker, in Grand Theft Auto IV. 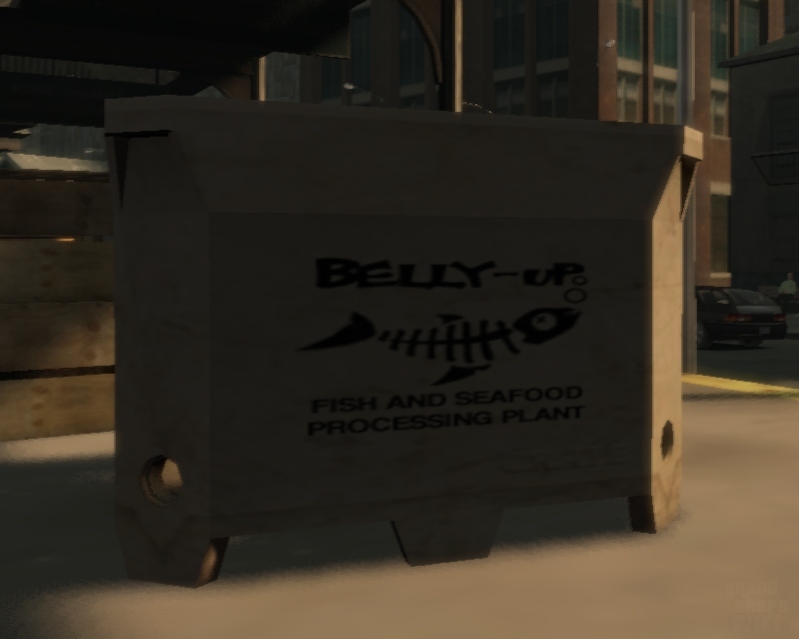 This is a screenshot of a business from Grand Theft Auto IV - a copyrighted video game developed and published by Rockstar Games. This page was last modified on 6 May 2012, at 17:48.